The Luyas’ debut album, Too Beautiful To Work, will be out on Dead Oceans on February 22nd. 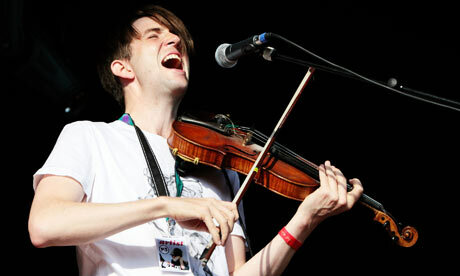 It will feature Owen Pallett as well as Arcade Fire’s Sara Neufeld. The Canadians, however, have already made the LP’s title track available to download over on Pitchfork. “Too Beautiful To Work” sounds deceivingly simple with Jessie Stein’s soft high-pitched voice but the music and lyrics form a never ending whirlwind of layers that make this title track really interesting. You can download the track HERE. The Luyas will also be supporting their first full-length starting at the end of this month. They will be performing alongside Ra Ra Riot and Givers so check their tour dates below. The musicians in Montreal clearly have a deep-seeded need and desire to collaborate. Bands such as Arcade Fire, The Dears, and Broken Social Scene adopt a more-is-better policy when it comes to assembling their personnel. Because of the large infrastructure in many of these groups, musicians travel between the ensembles, like musical chess pieces, as their scheduling and tastes dictate. Another group to add to this list: The Luyas. The band formed in late 2006, releasing their debut album, Faker Death, in 2007. 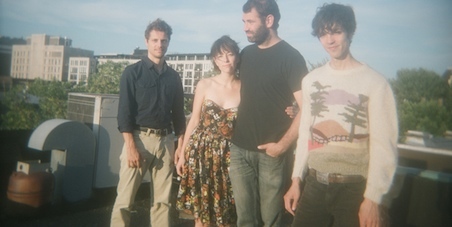 Although the number of members changed at various points in the group’s history, they have essentially consisted of: Jesse Stein [also of Miracle Fortress], Pietro Amato and Stefan Schneider [both of Bell Orchestre, Amato also having worked as a french horn player for Arcade Fire], and Mathieu Charbonneau. Add in Sarah Neufeld [violinist for Arcade Fire] and Owen Pallett [Final Fantasy and string arranger for Arcade Fire] to the current recording roster, and you have one amazing Canadian super-group on your hands. On their Dead Oceans debut, Too Beautiful To Work, the band excels at crafting dreamy pop textures—using layers of organ, keyboards, horns, and mallet percussion on top of the standard foundation of guitars and drums. Jesse Stein contributes significantly to The Luyas singular sound by playing the Moodswinger—an experimental 12-string zither—as well as supplying her breathy vocals, calling to mind both Nina Persson and CocoRosie’s Casady sisters. The opening title track plunges the listener right into The Luyas’ world: a short organ riff becomes the foundation for the song’s spiky rhythms, light drums, and Stein’s voice, which churn bubbly lyrics at you so quickly, it actually takes a couple listens to even decipher what the text is. [The track is so infectious and joyous that really, multiple listens would be mandatory anyway.] Stein is incredibly adept with her voice, working hand in hand with the drum set so well that she sounds like she is replicating yet another percussion instrument to add to the mix. “Worth Mentioning” places her even more in the forefront of the group, gently cooing “Trust me now, and keep in mind there are no ungraced thoughts” over throbbing guitars and organ. Stein might as well be singing right into the listener’s ear; the effect created is so intimate and hushed. The Luyas move into a different direction on lead single “Tiny Head,” washing their entire sound in reverb. The guitars echo, the percussion trembles, and Stein’s Moodswinger finally comes into play. It’s an altogether different sound than you’ll ever hear, and as the vocals and zither dovetail in and out of each other’s phrases, you come to realize that this bizarre instrument is used as an extension of Stein’s voice and not another piece of accompaniment—the Moodswinger even taking center stage as the track gently fades into silence. 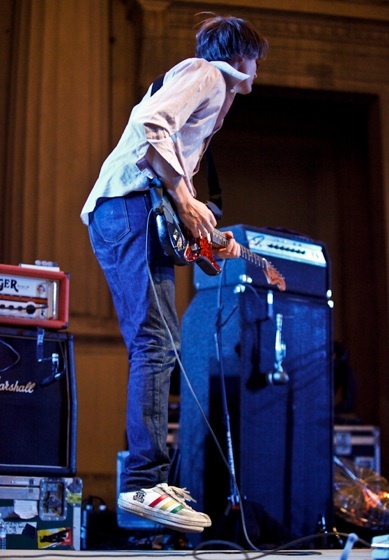 The second half of the album alternates between these two contrasting styles: “Canary,” “Spherical Mattress,” and “Seeing Things” submerging the band in their wash of reverb, while “Cold Canada,” “What Mercy Is,” and “I Need Mirrors” display their sense of intricate rhythm and catchy hooks. “I Need Mirrors” finds the band at their most playful and inventive, creating a modified-Bossa Nova rhythm as the foundation of the song, a tropical idea of a dance to enjoy even while your city is covered in snow and ice. 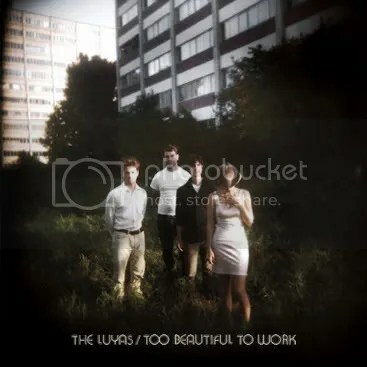 Even though the album began with the greatest sense of energy, by the end of Too Beautiful To Work, the group is seen at its warmest and most intimate on the closing track, “Seeing Things.” After a brief chorale employing a set of muted French horns, an oscillating figure in the guitar begins, and Stein and guest vocalist Pallett form an incredibly moving series of harmonies—never rushing any piece of the melody as the drums and horn try to interrupt their thoughts. Stein keeps the mood tranquil throughout, never allowing the group to attain the energy produced earlier in the album. Compared to the anthemic nature of their Canadian brethren, Arcade Fire and Broken Social Scene, The Luyas overwhelmingly come across as atmospheric, intimate, and endearingly quirky—welcome qualities to display in a music scene already filled with a whole lot of pomp and circumstance. The 2011 Ecstatic Music Festival, presented by New York City’s Kaufman Center, in association with New Amsterdam Records, announced a slew of new genre-pushing composers, songwriters, and performers coming together to present a new generation of artists combining vast influences and techniques to explore the crossover of classical and pop music. On January 17th, 2011 the event opens with a free seven-hour marathon and continues with 13 additional concerts until March 28, 2011.The series includes imaginative collaborations such as Owen Pallett with Nadia Sirota and Thomas Bartlett (Doveman); Clogs with the Brooklyn Youth Chorus; Dan Deacon with So Percussion; tUnE-yArDs, William Brittelle, and Caleb Burhans with Roomful of Teeth; a Ben Frost arrangement for Alarm Will Sound; Vijay Iyer writing for Darcy James Argue’s Secret Society and much, much more. All concerts will be performed at the award-winning Merkin Concert Hall. Check out some highlights of the schedule below. So Percussion & Dan Deacon – The “brilliant” (New York Times), “astonishing and entrancing” (Village Voice) quartet So Percussion is joined by electronic iconoclast Dan Deacon, whose visceral and sophisticated work has inspired a near-cult following by “connect[ing] the loops and repetition of dance music to the patterns of 20th-century classical Minimalism” (New York Times), in a series of new collaborative works. The quartet will also play arrangements of Deacon’s songs and selections from their own vast and varied output. So Percussion & Bobby Previte with Zeena Parkins, John Medeski, DJ Olive & Jen ShyuA Special Presentation of New Sounds® Live with WNYC’s John Schaefer – Composer Bobby Previte, whose ensembles “speak in visionary tongues” (The York Yorker), premieres TERMINALS, Part 1: DEPARTURES – five concertos for the “brilliant” (New York Times), “astonishing and entrancing” (Village Voice) quartet So Percussion and star soloists Zeena Parkins, harp; John Medeski, keyboards; DJ Olive, turntables; vocalist Jen Shyu; and Bobby Previte on drums.